WALLACE QUEEN ~ On the Upper Yough. 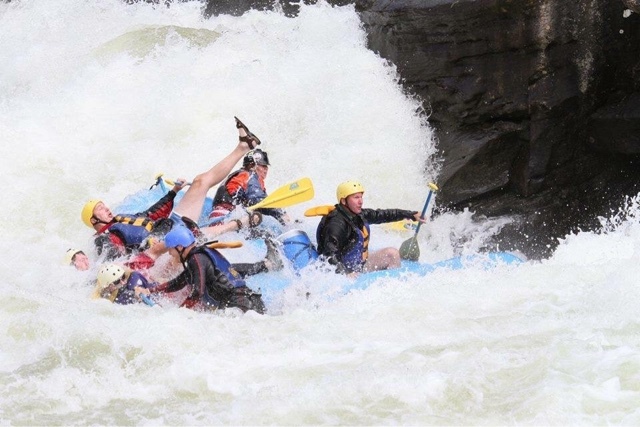 by Kelly Gladen | DBP MAGAZINE ONLINE The World's Best Free Whitewater Publication. I definitely had that moment on the Upper Youghiogheny River in Friendsville, MD a few years back. I went with a group of guides from West Virginia. My boating partners had maybe seen the river once; I had a little more experience, having gone every year since 2012. We were getting ready to run Class V Heinzerling Falls. “We need to start heading to the right side of the river,” I called out… We stayed left, getting stuck and then landing smack on a pourover just left of the hole. We went sideways and flipped over. I was down for a good 4-5 seconds. 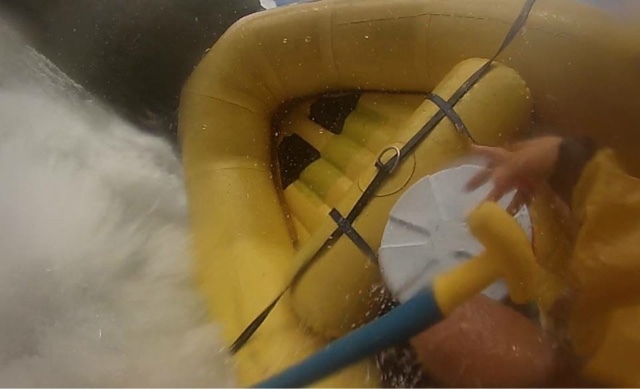 This was not really the part that got me…it’s when I was trying to get out from under the raft that the true Wallacing began. I was just about to pop up when a rock hit me in the back of the head. I was pretty dazed. At this point I was going downstream, unable to figure out where I was going. I knew I was going to be swimming for some time. Luckily my buddy had seen what had happened and was able to rope me in. He hit me right on the helmet. I was somehow able to grab on and get to shore before going down the rest of the section. As you may know, on the Upper Yough there are few eddies or places to really stop. It’s narrow, steep, chock full of boulders, and very technical. I definitely was in shock, and it took a bit to get myself together. I finished the run, but I did not raft for a few days. I finally got back out there a week later. Now look at me. Total Respect for Wallace… But NO FEAR. EDITOR’S NOTE: Kelly is an New and Upper Gauley river guide for a top outfitter in West Virginia, and longtime DBP Admin. She has contributed many times to this magazine. As a Class V commercial rafter (and the mind behind Team Gung Ho Pirates) she gets Wallaced all of the time. Here are a few clips from her personal stash. Enjoy! !